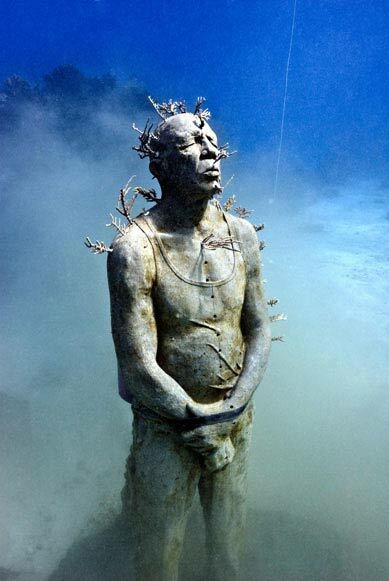 Jason De Caires Taylor’s latest underwater installation is now being installed in Cancun, Mexico. 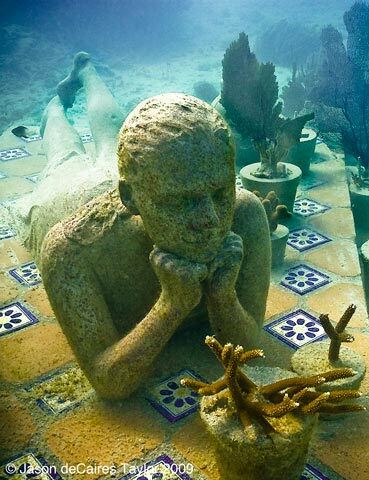 When fully finished in 2011, it’s by far and away going to be Jason’s most ambitious project yet, making it the largest underwater sculpture park in the World. Jason has just positioned the first 3 sculptures of the project and the team is now underway creating 400 life size figures for ‘The Silent Evolution’. The 400 pieces will form a timeline of the changes both visually and socially in humans over the past centuries. 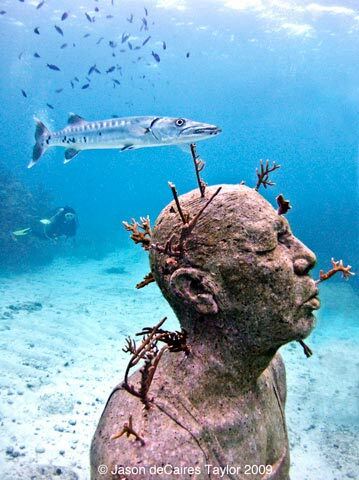 All of Jason De Caires Taylor’s sculptures for Mexico will be placed within the National Marine Park of Cancun, Isla Mujeres and Nisuc and are designed to form an artificial reef. 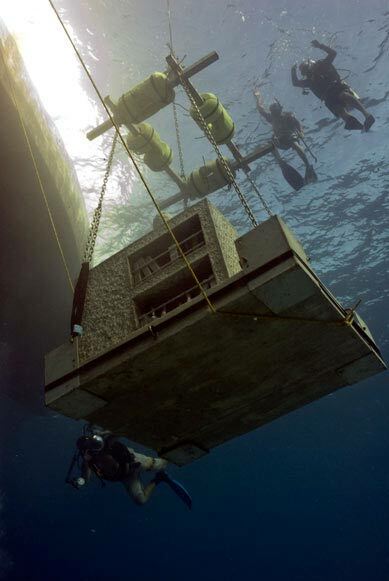 They will be the basis for the World’s largest Underwater Art Museum. The first pieces, seen above, are entitled La Jardinera de la Esperanza (The Gardener of Hope), Coleccionista de los Sueños (The Archive of Lost Dreams), and Hombre en Llamas (Man on Fire). The second phase currently in progress is entitled; La Evolucion Silenciosa (The Silent Evolution).